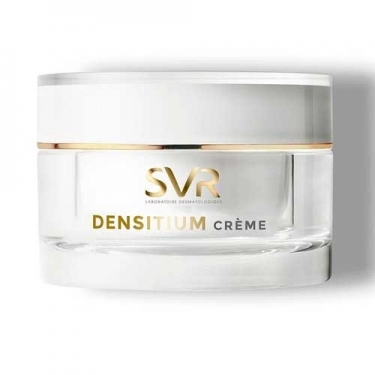 Densitum Crème from SVR is an anti aging cream ideal for dry to very mature dry skin. From the age of thirty, the face begins to relax, but the phenomenon becomes especially visible from the forties. The signs of time are more visible. 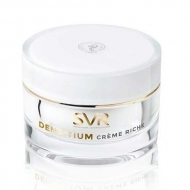 The oval of the face and the cheeks lose firmness and volume. Wrinkles are settling down. 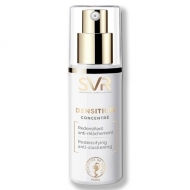 A pair of ultra-efficient active ingredients: ultra-fragmented hyaluronic acid to densify the skin and bio-calcium to restructure the epidermis and act against sagging skin. 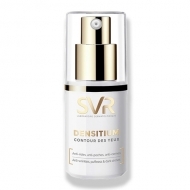 Treated intensely, the skin becomes more comfortable, firmer. The appearance becomes fresh and shiny. In the morning and/or at night with circular movements from the inside to the outside of the face and neck, from the bottom up.